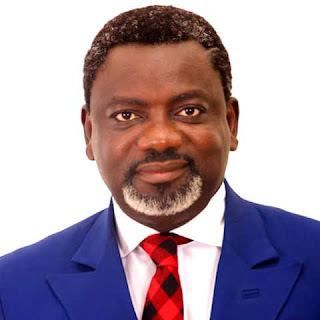 Do you know that Linus Okorie is another candidate to look out for in the 2019 Gubernatorial race in Imo State? Leadership coach, Host Leadership Clinic -AIT, Author of the book Leading Beyound Today and several other books has actually made himself available to serve the people and would certainly to run for Imo Governorship position in 2019 during a press conference which held weeks ago in the Amaechi hall of Rockview Hotel Owerri. Linus was the first elected SUG President of Imo State University at a period when Ugwumba Uche Nwosu served as the Director of Transport. Linus claims to have a blue print that will transform Imo State. He is a but the truth is that the State Leadership set up is different for the SUG setting, can that be enough experience one may ask. The atmosphere is getting heated up and many people are declaring for one position or the other, and Imolites need to conciously make choices that will reflect positive in every corner of the state. Will Linus be the Messiah?